BJP vs Congress: Who Will Win 2019 Indian Elections? The 2019 Indian elections are getting close and the controversy surrounding them only seems to thicken as the day approaches. The BJP vs Congress battle is quickly becoming front page news in every country in the world as India prepares to launch what CNN calls the “world’s largest exercise in democracy.” More than 900 million people are expected to vote in the upcoming election, and politicians on both sides of the aisle are waging a war of words. 5th generation warfare is a term normally used to describe the control of information between two hostile nations. The information flow is designed to sway public opinion and create sympathy for the cause. However, it appears that politicians in the 2019 Indian elections are waging a war of words within their own country. We reported that Facebook has taken action to stem the flow of fake news surrounding the 2019 Indian election by deleting hundreds of pages and accounts believed to be involved in fraudulent activity. In this massive conflict of words, the BJP vs Congress battle was taken to social media, as India has more Facebook users than any other country on Earth. 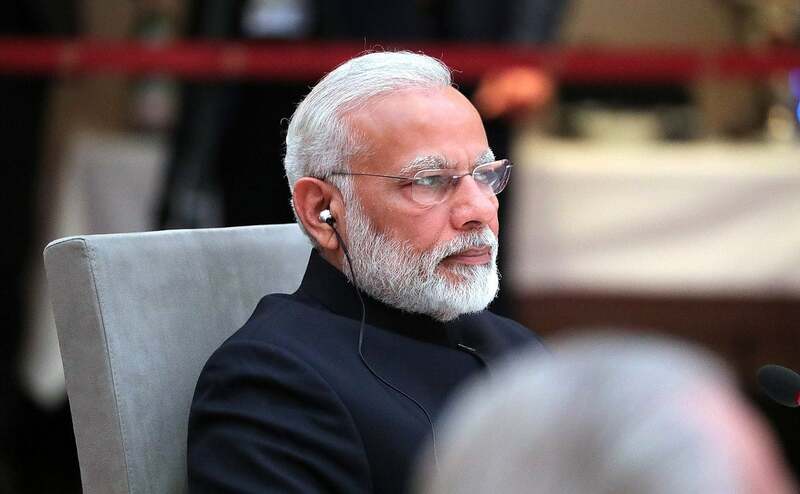 Prime Minister Narendra Modi locked horns in a verbal exchange with a state official over the state of Jammu and Kashmir. Omar Abdullah is the leader of Jammu and Kashmir’s National Conference. In a recent statement he said that the state may have to reconsider its union with the rest of India. With the 2019 Indian election fast approaching this type of division could be disastrous for either party in the BJP vs Congress election. Modi responded to Abdullah’s statements without mentioning his name, but the implications of who he was speaking about were clear. “He says we will take the clock back and replicate the situation before 1953 and there will be two prime ministers in India, Kashmir will have its own prime minister”. Modi is the leader of the BJP and he demanded for leaders of the Congress party to explain how their ally could hold the view that a divided India would be better. The 2019 Indian election promises to be a very interesting event, as both sides firmly stand their ground. BJP vs Congress: Who has the most cash? According to a report by Bloomberg Quint the Congress party of India may not be able to financially sustain its campaign leading into the 2019 Indian election. Party officials, asking not to be identified, stated that funds for office operations in various parts of the country had been suspended due to there not being enough to go around. They said party leaders have asked donors to bump up their contributions and also requested that personnel reduce expenditures to cover the shortfall. The shortage of funds has been caused by the steady decline of big business relationships within the Congress party. When it comes to sizing up BJP vs Congress, the BJP has more donors with deep pockets backing its campaign. That, coupled with Modi‘s well engineered political career gives the BJP a distinct advantage in the 2019 Indian elections. Narendra Modi has skillfully climbed the political ladder in India, amassing a huge following in the wake of his success. However, he is not without adversaries and critics who claim his dealings with countries like Pakistan make him unfit to continue leading the country. He is known to be very anti-Muslim and has been accused of complicity in a series of riots that caused the deaths of more than 1,000 Muslim people back in 2002. Because of his extreme views he is considered by many to be a threat to the welfare of the nation. The initial phase of the 2019 Indian elections will begin on April 11, and it will be interesting to watch this nation hold its most important event in its history.